Posing as a wealthy but benevolent Algerian in France, Aboud appears to help poor North Africans in Paris suburbs. Penny, a New York reporter, attempts to inform her friend Charles, who experienced great personal loss in New York on 9/11, that Aboud is in reality an Islamic terrorist. In the Sahara desert Charles discovers that Aboud is anything but charitable. 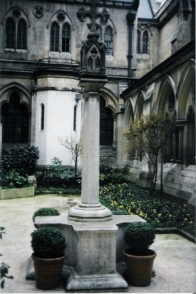 When Charles tries to find out what target in Paris Aboud will seek to destroy by rockets or C-4 expolsives, he is imprisoned and tortured by Aboud. However, Charles is rescued by Fatima, a Muslim Egytian flight attendant who is enslaved by Aboud after a 2001 Islamic riot against women in an Algerian oil town. The two flee by camel across the desert but face dangers at the hands of Aboud's men, and Charles is gravely wounded. When they finally reach Paris and inform Steve Hallcroft at the American embassy of their suspicions, the four—Charles, Fatima, Penny and Steve—form a team to thwart the destruction of American institutions in Paris. See reviews of Paris Under Siege on Amazon. 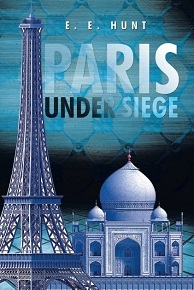 Order the Paris Under Siege reprint HERE. Links to additional resources relevant to "Paris Under Siege". The heroine, Fatima, constantly insists that Aboud, the fanatical Algerian in the book, is evil, and warns everyone she knows about his true nature. What is the nature of evil? Personally, I believe that Albert Camus had it right when he wrote: "The chorus in the classical tragedies (of the Greeks) generally advises prudence. For the chorus knows that up to a certain limit everyone is right and the person, who from blindness or passion, oversteps this limit is heading for catastrophe, if he persists in his desire to assert a right he thinks he alone possesses." Such arrogance is not limited to fanatical Muslims like Aboud who believes he alone is right, but can be found everywhere, in all faiths and in all leaders, and in any land, and it always leads to trouble. Arrogance is what gets individuals and nations into trouble. 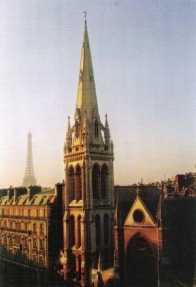 Read a talk on "Paris Under Siege" by the author to Allianze France of Naples, Florida in March, 2007 in a separate window.